©2011 by Alice Walker (words); ©2011 by Tamara Staples (art). One of the things I especially prize is that she is missing a toenail. At first I wanted the artist to put on a fake one, but then I thought no: Life gives us broken toenails and worse to let us remember where we’ve been and the struggles we’ve overcome. I felt this way a few months ago watching How To Train Your Dragon, a movie I like a lot. One of the things I like about it is that the main character Hiccup loses a leg in his battle to save his dragon friends and enlighten his Viking community. This is the truth of Life. We may lose a lot in whatever fight we choose or have chosen for us. But these are warrior marks and need not be hidden or completely disappeared by “restoration.” The lessons from them in their role as teacher never end, and seem to me, having acquired a few deficits myself, to become more like oddly delivered gifts. Gifts that it becomes easy to imagine The Universe (in the form of ancestors or whoever they are) sending down to us. Weeping as they pray we can outlive the initiatory pain. What I didn’t like so much about How To Train Your Dragon (adored the matriarchal choosing of leaders, of course!) is that at the end the Vikings are shown playing with the dragons by having the dragons fly them about. The question is: what do the Vikings do for the dragons? 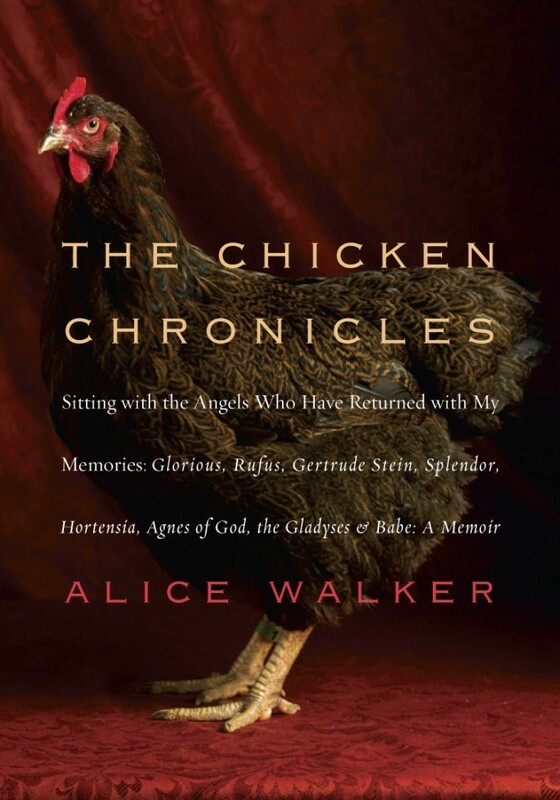 Anyway, this is the book that grew on this blog, as I sat with my chickens in the outback of Mendocino, California. I sat with them expecting nothing and over the months they pecked open places I hadn’t been able to enter by myself. All of my “girls” have their toenails but occasionally, and though it is shocking it is natural, they lose their feathers.